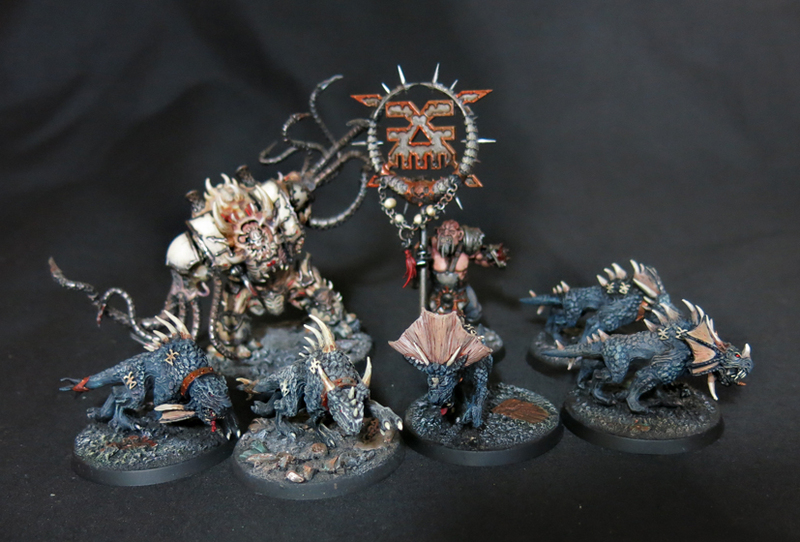 Good news – the missing flesh hound has been found, and what’s more he was almost finished! A few brushstrokes here and there and he was done. 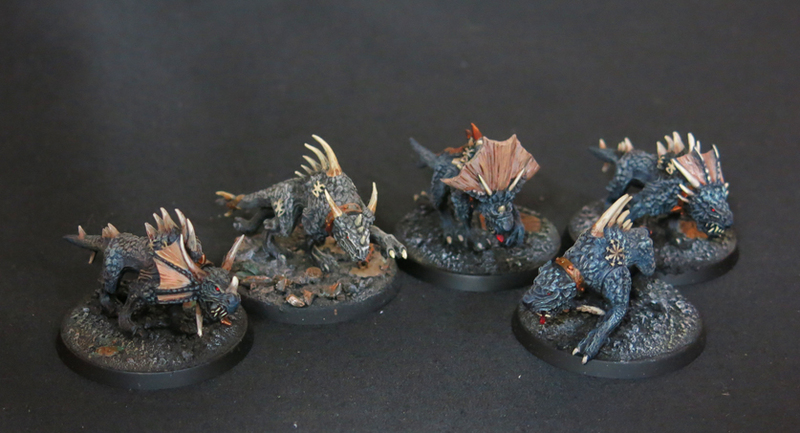 To recap for those new to the story, I was given a set of flesh hounds back in 2013 by a colleague after taking care of his dog whilst he went on holiday. Unfortunately he wasn’t the most pleasant person to work with and the more people he was rude to in our office the more I took it out on the poor fleshhounds by shoving them further and further back on the shelf. 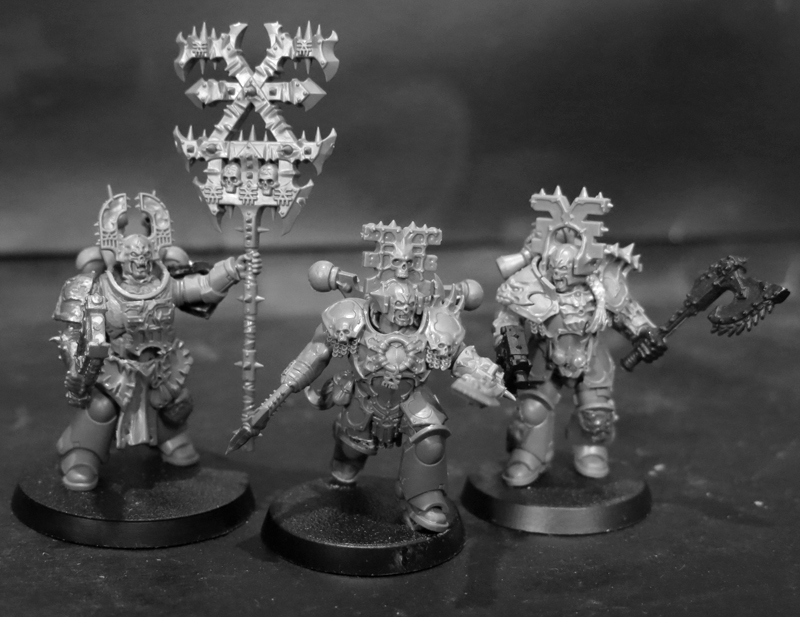 However, when all is said and done, I actually rather like the models – and when fellow blogger Azazel suggested May as “Neglected Model Month” I decided the hounds’ time had come at last. 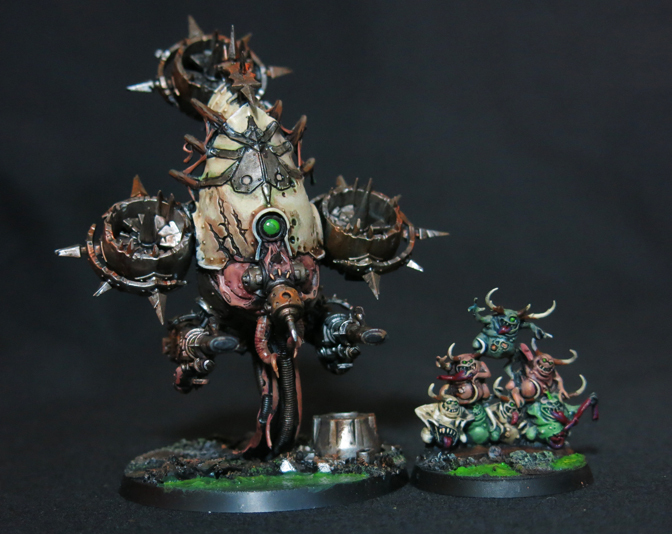 Again, for those not in the know, Azazel has been setting a series of monthly challenges to hobbyists and himself, and the one for May is simply to finish a neglected model that’s been sitting unpainted for far too long. Or, if you’re like me and far too enthusiastic, many models. Unfortunately by the time I came to that decision one of the hounds had gone astray but a hunt through the drawers and boxes surrounding the painting desk turned him up and in miraculously undamaged and already fairly well painted condition too. And here’s one of his packmates. I’m rather pleased to have snuck the rune of Khorne onto his base twice, wherever he walks the Blood God clearly approves. So there we have it two hounds done, three more to go by the end of the month. Another Khorne berserker comes roaring out of the warp! And here it is now. Hopefully you’ll feel, as I do, that this is an improvement, if not it’s never too late to explain to me the error of my ways. Thomas of High Times on the Eastern Fringe also suggested that the space around the neck was too empty and flat and suggested some kind of collar. In the end I greenstuffed part of a chaos star erupting from inside his armour which hopefully does the business of breaking up the flat panel without overtaxing my sculpting skills. I also added a World Eater’s sigil to his knee, which seemed like a good fit. 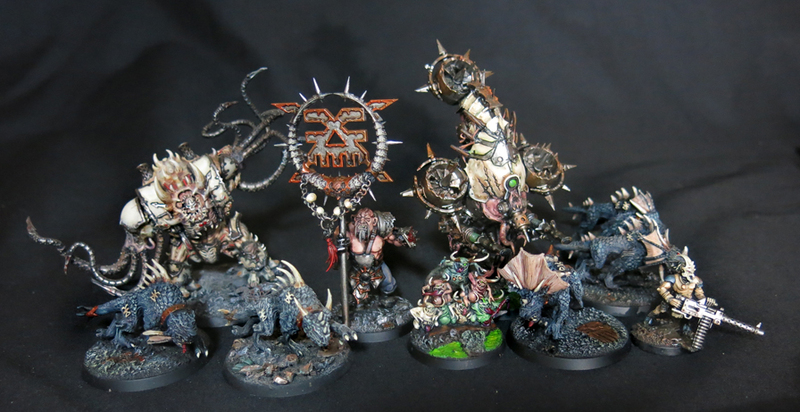 Here’s the squad so far ready to reap skulls and spread chaos. As ever if you have any feedback or advice you want to give you know what to do. 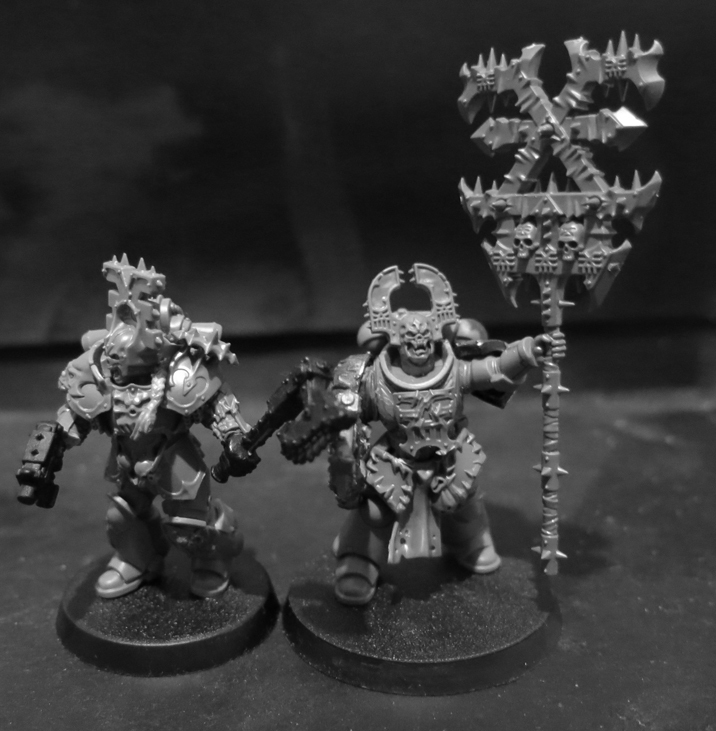 Following on from making my first true-scale Khorne berserker I was itching to kitbash something else for the Blood God’s legions. 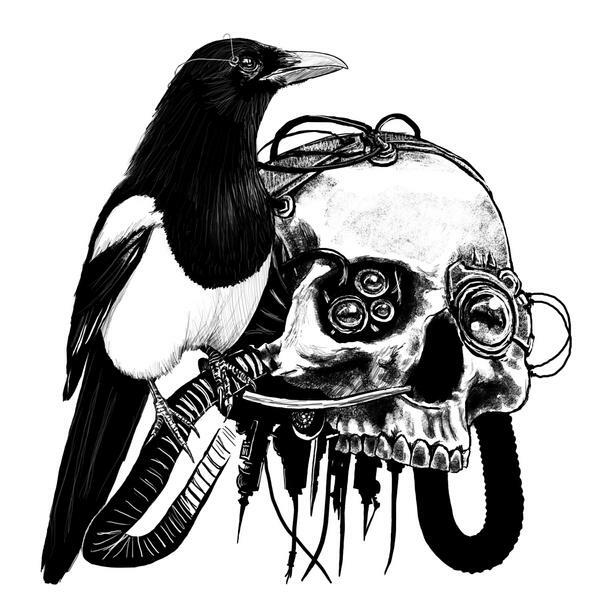 Enter this angry man, rallying his squad mates and ready to dedicate some bloodshed to the Skull Throne’s glory. I’m spite of my initial decision to make the armour more warped and “chaosy” than the first I think the more minimalist, plain amour works well here. As ever I’m open to suggestions though.